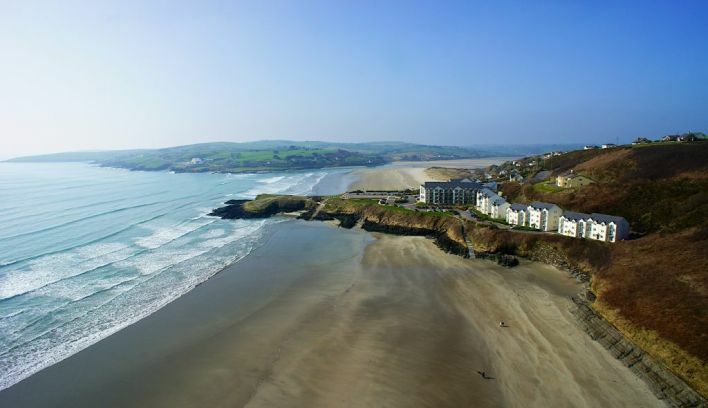 Overlooking two magnificent stretches of Blue Flag beach, just outside the pretty heritage town of Clonakilty in West Cork, Inchydoney Island Lodge & Spa is a warm, polished and welcoming seaside hotel and a glorious spot for an idyllic wedding celebration. 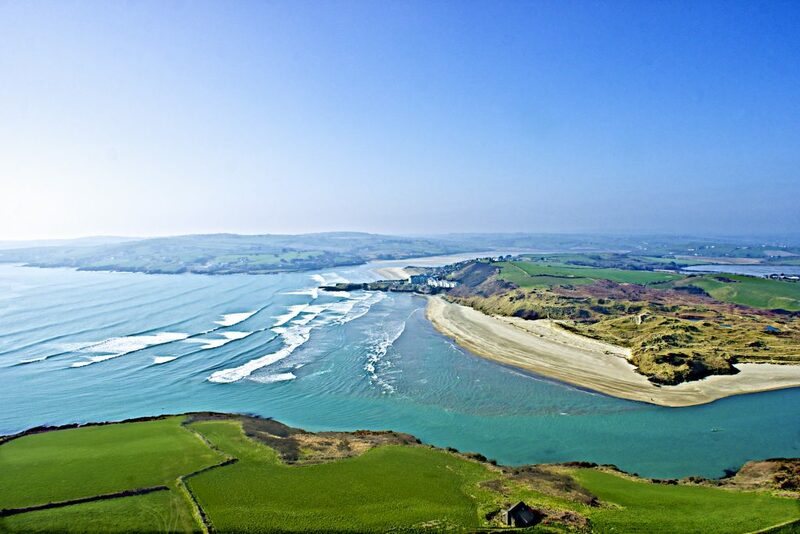 We are delighted to unveil our newly refurbished Inchydoney Ballroom this Spring, which can be transformed to suit both large and intimate gatherings. 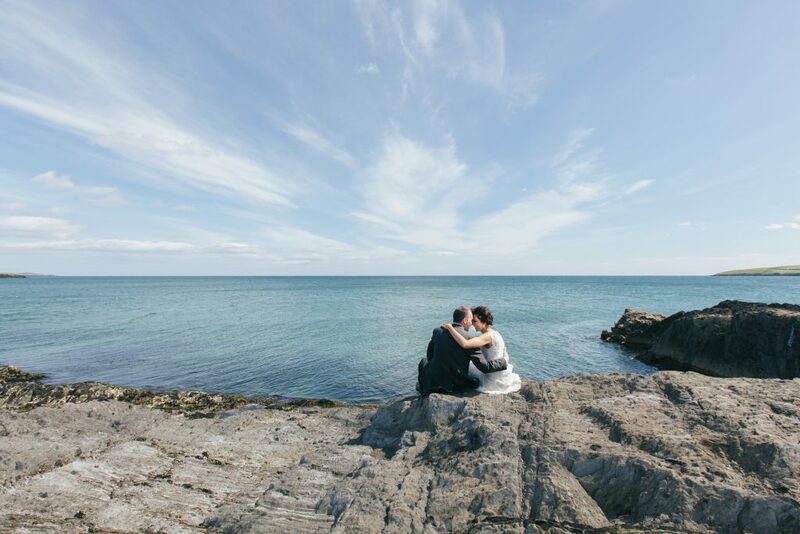 Designer Nikki O’Donnell has worked closely with the wedding team to create a breathtaking, natural light-filled space that can be adapted for civil ceremonies and weddings of all sizes. 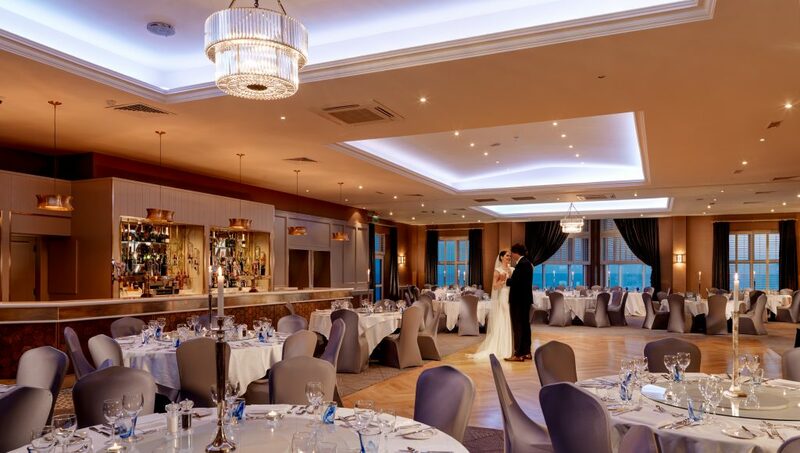 With soft seashore tones of blue and grey, and a relaxed and fresh style throughout, the new look ballroom with its bleached timber, golden touches and neutral colour palette brings the stunning seaside scenery indoors. 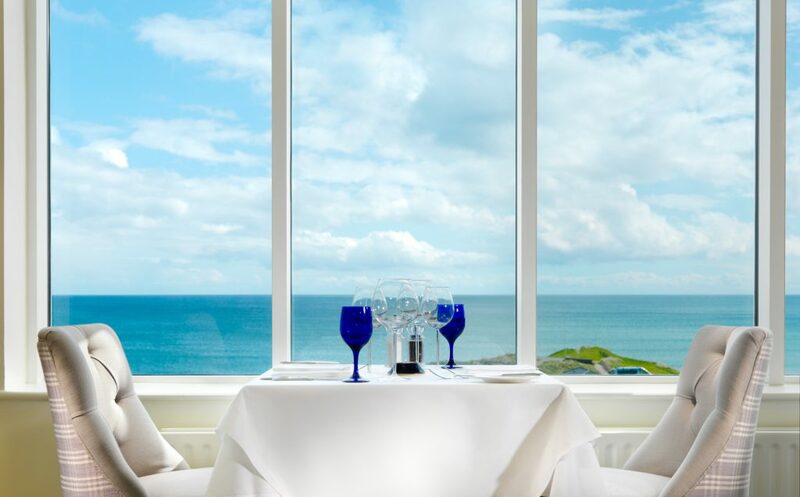 The dedicated wedding coordinator will guide you in choosing your specific menu from their extensive range of dishes, as well as the perfect wine to accompany it, whilst working within your personal budget. 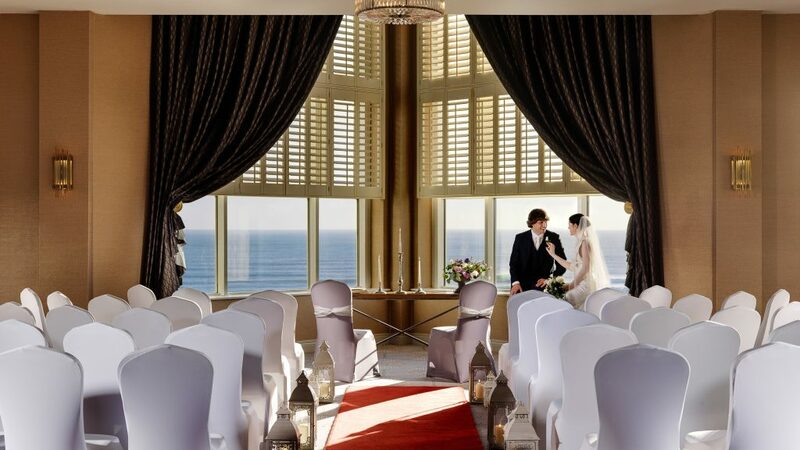 The bride and groom can retire to the luxurious surroundings of their bridal suite which also enjoys stunning sea views. 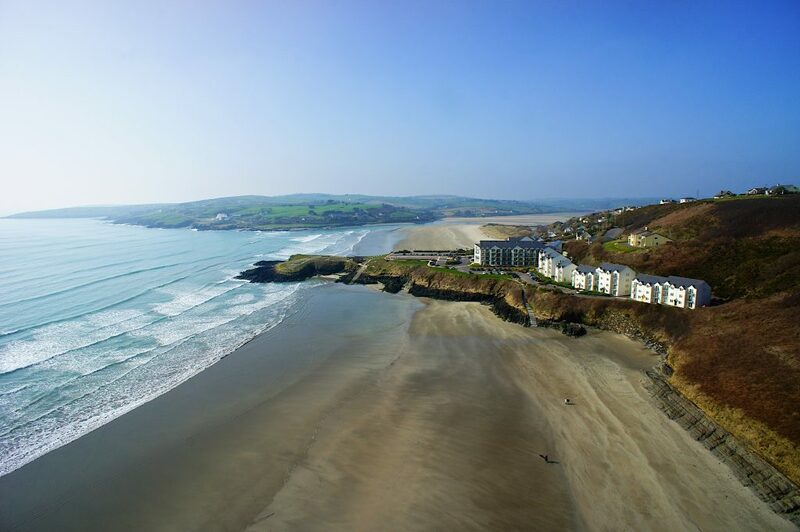 In addition, to celebrate your first wedding anniversary, Inchydoney will invite you back for a weekend break with their compliments. 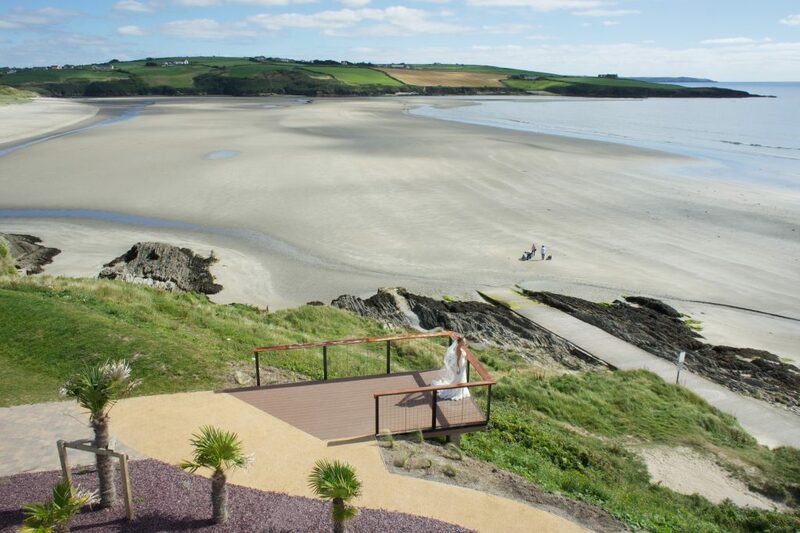 Benefits of weddings at Inchydoney Island Lodge & Spa include the stunning location. 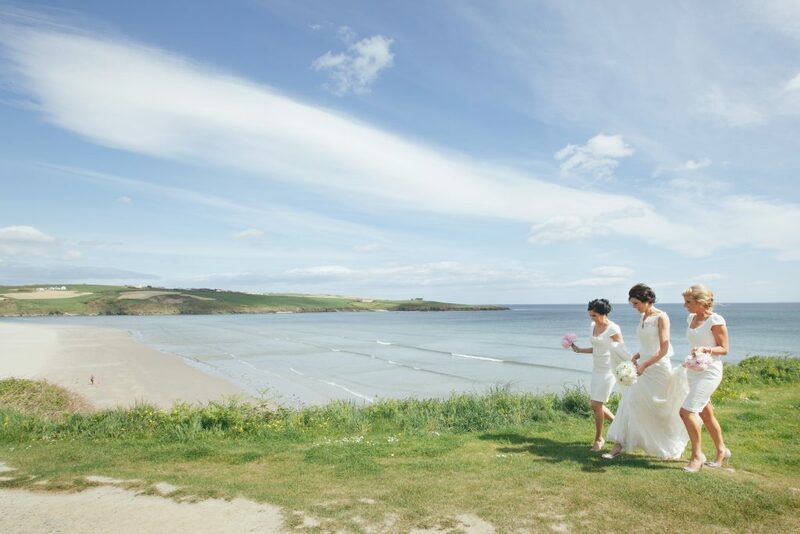 The hotel has a newly developed headland in between the two Blue Flag beaches which it overlooks making it the perfect setting for wedding photographs and incredibly romantic views.